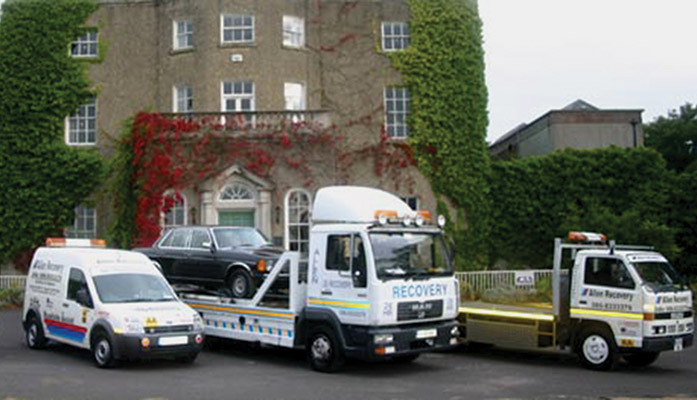 Allen Recovery are a fully registered breakdown recovery service operating out of Straffan, Co. Kildare and are committed to dealing with their customers needs as if they were their own. They offer a comprehensive nationwide service incorporating: 24/7 roadside assistance, car – van– 4x4 collection and delivery nationwide, motorcycle recovery, motor home recovery, roadside repair facility, end of life vehicle disposal, fuel tank drainage service, new car delivery and collection, full car valeting, 24 hour on-site taxi and 24 hour on-site car hire. In addition, they boast a workshop for both mechanical and collision repair which is fitted out with the latest diagnostic and repair equipment and their team of fully trained technicians ensure a fast, efficient and reliable repair to their customers' vehicles. From modest beginnings, the Allen family-run business has evolved into one of the most trusted vehicle recovery operators in the country. Running a fleet of modern recovery vehicles, they have a dedicated and experienced team who have excelled in the competitive industry by providing quality service to their valued customers and clients. The knowledge and experience of their team helps to manage every step of the towing services, from the moment a call is received up to the vehicle delivery, ensuring that Allen Recovery deliver on their promise to offer a quality service. “My father Greg has been a great influence. It was originally his idea and he pushed it right from the very start. “We grew up in the pub trade where customer service was vital. He would always drum into me and our drivers that from the moment a motorist is stuck on a motorway or broken down out in the middle of no where, once they ring us and we say we'll be there in half an hour, that's the longest half an hour of their lives. Ideally located only minutes from both the M4 and M7/N7 motorways and less than fifteen minutes from the M50, Allen Recovery covers Kildare, Dublin, Westmeath and Meath and pride themselves on their 30 minute response time. Their members of staff are trained to provide a great service which is professional, prompt and efficient. Allen Recovery work 24 hours a day to provide a second-to-none service. Their customers’ best interest is paramount to the running of their company and they will always try their best to keep your vehicle moving. If Mark & Co cannot get you going on the side of the road, they can take your vehicle back to their storage facility and, with over 15,000 square feet of secure parking, they can provide ample storage for any type of vehicle. Their experienced team of in-house technicians can carry out any type of repair or service in their fully equipped workshop. Once repaired, they can have your vehicle delivered to any location within Ireland. They can also provide you with a taxi service if you and your passengers need to get to your destination before your vehicle can be repaired while some of their breakdown trucks have crew cabs and can take you and your passengers along with your vehicle to your preferred location. Alternatively, if you require a replacement vehicle, they can provide you with car hire. “Business has been going very well for us recently,” Mark revealed. “We've been growing steadily despite the fact that we don't too much advertising. The majority of our business comes from word of mouth while we pride ourselves on being on time 99%, if not 100%, of the time. AA and Europ Assistance approved, contact Mark and his team for more information about their services. Their friendly customer service team can help you find just what you need and can advise you on the additional options. 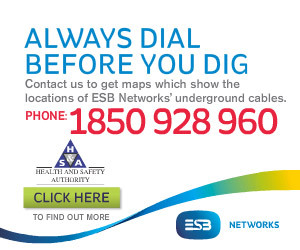 Their customer service team is available between 9 am and 6 pm, and 24 hours a day 7 days a week on 086 833 3379.